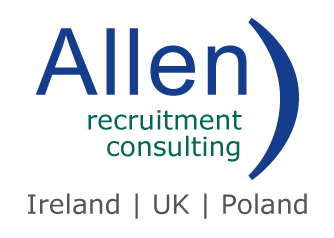 Allen Recruitment is currently assisting the largest Scandinavian financial group being one of the fastest growing banks in Europe. Our client is building their IT hub in Poland to support Nordic regions. Based in Gdansk, they are currently looking for a Java Developer with solid Java 8 knowledge to join them on a 3-month Try & Hire contract, with a view for permanent B2B contract. This is a flexible cooperation on a B2B basis and a fantastic opportunity to accelerate your career in a super place to live with a low cost of living and larger take home pay. Please only apply if your skill set matches the job advert and if you have a valid working visa, as our client does not provide visa sponsorship. What will a Java Developer do? Opportunity to work for the largest financial services group in the Nordic region & one of the biggest banks in Europe. Company is present in 17 countries, hiring more than 30 000 employees. Great career development, progression and promotion prospects. A key recruitment partner to a growing number of Financial Services, Banks and Fintech companies in Europe. With aggressive hiring plans for 2018 and beyond, we are assisting our client’s source talented Technology Professionals across Europe.